The players has been scouted by Liverpool and Barcelona want him as back up of Jordi Alba. Barcelona full back Jordi Alba has not had any back up this season following the departure of Lucas Digne to Everton. 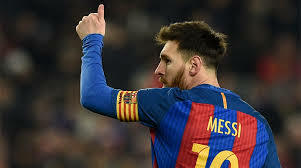 Thomas Vermaelen has been used as a makeshift in the position whereas academy player Juan Miranda has been given the nod to cover the left flank by manager Ernesto Valverde.The Catalans are looking forward to what is going to be a busy transfer period for them and it seems Lionel Messi has given Barcelona the green light to sign the next ‘Jordi Alba’. European heavyweights Liverpool and Barcelona are both reportedly interested in promising Wolves’ Ruben Vinagre. The 20-year-old has impressed this season despite playing largely an understudy’s role to Jonny Castro Otto in the left wing-back position. The young Portuguese, who started his senior career at Monaco, has made 18 appearances in all competitions in 2018/19 (including 14 in the Premier League) and is rated highly at Molineux. His notable performances have led to heads being turned on Merseyside and in Catalonia, with Vinagre supposedly garnering particular attention with Jurgen Klopp after a stand-out display in Wolves’ FA Cup encounter with Liverpool back in January. Barcelona have sent a chief scout to follow Vinagre at Wolves. The scout watched his display against Manchester United, with the Spanish champions now joining Liverpool on the youngster’s growing list of admirers. Ruben Vinagre signed for the Wolves back in 2017 from Monaco and he was instrumental for them as they made their way back into the Premier League after a long drought from the English top flight. Leo Messi has also given the thumbs up to sign him. Ruben Vinagre has been valued at 18 million euros and is so far, the subject of interest only from Barcelona. The Catalans find him a great fringe player, who definitely will not have many issues with staying on the bench in his initial days at the Camp Nou. Moreover, he is not excessively expensive and may turn out to be a bargain in the long-run. Vinagre will be looking to finish the season strongly with Wolves. Despite their agonising 3-2 FA Cup semi-final defeat to Watford last weekend, the Premier League newcomers have exceeded expectations this campaign, with European football still a possibility for next season. Ruben Vinagre’s defensive contribution is lacking, but that will definitely improve with experience and training- as is the case with nearly every upcoming full back. However, his speed and attacking talent are tripled with a great potential and that trait has attracted the likes of Barcelona who want the back up of Jordi Alba. Barcelona have failed to sign a back up of Jordi Alba this season and would want to sign a left back in summer.